I’m in a writing funk again. I know it’s not a horrible funk, because I’m still writing. I’ve been writing mostly flash fiction and not focusing on my current novel-in-progress. I think I’ve pinpointed when these funks happen, during times of transition. My baby did just start Kindergarten after all. Anyone who has had a small child knows how hard transition can be. Your kid is happily playing with Thomas the Train at Barnes and Noble and you say, “Okay Tommy, it’s time to go,” and he turns from a peaceful angel into a squalling monster. Transitions are inevitable throughout life, but even so they throw an emotional monkey wrench into our plans. So, yeah, it should be no surprise to me that transition times wreak havoc on my creativity. Yet every time I delve into a funk I feel wholly unsettled. Like my skin is itching and no amount of scratching will fix the problem. The solution is easy: Just write, right? But it seems every time I power up Scrivener I stare at the words and Anna Kate, though she speaks to me throughout the day and begs me to finish her story refuses to show me the way the story should flow. And then I sigh, power down the computer and feel like the world is ending because I can’t write. I’m pretty sure every author has felt this way at some point or other. Maybe that’s why so many of them are driven to drink, that, and alcohol is pretty damn good! Lately, instead of writing I’ve been reading a lot more but I haven’t finished any of the books I’ve started either. I’m struggling through Cold Sassy Tree, a Southern fiction book I loved when I was a kid. I’m loving Bird by Bird, but it’s slow going because I have so darn much on my plate. Instead of focusing on what I feel I can’t do this week, I’m going to take up all my pent up energy and use it on the treadmill, at Zumba, and maybe even attempt an Insanity class. Maybe working out my body will give me the motivation to tackle my project again and get some much-needed editing done on Little Birdhouses. How do you dig yourself out of a funk? In life? In writing? 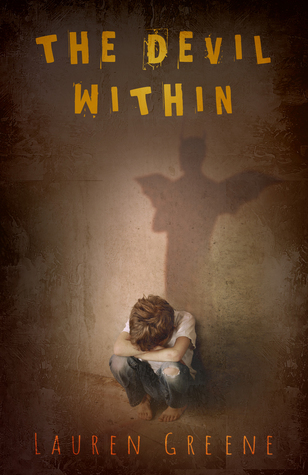 There is still time to enter the giveaway for The Devil Within! See what people are saying about the book over on Amazon! It now has TEN five-star reviews! Sometimes i think we are a lot alike, although in very different stages of life. I’m in a funk too, not sure if it’s a writing funk, or a life funk. Either way, i’m researching a lot, but doing nothing with it, just busy work. I’m going to do something fun, maybe that will help. Good luck, i know you will be fine. Helen, I’m so glad you wrote. I was thinking about you yesterday. I hate funks, but I’ve learned they’re just cycles to get through. I started writing again today and hopefully this time I can go for the end! Hope you’re well.